Alrighty, so here's the FINAL sketch (for now) I made of Veemon! Yeah, I figured why not make one more to fill up my page a little bit lol. Plus, it's happy Veemon! 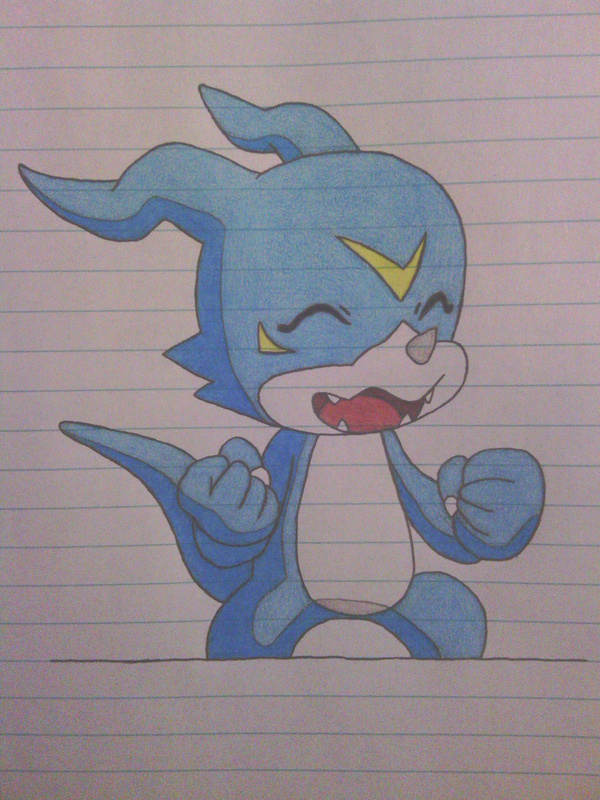 And I'm sure everyone always loves to see a happy Veemon lol. Me, particularly being one of them lol. When I saw this pose in the actual episode, I figured it would be an awesome drawing to make. So, here's the result! Lol. What do YOU think? Hope you like it, and thanks again for viewing!